Packaging in supermarkets is under fire. The public debate and the changing public opinion regarding plastic packaging encourage supermarkets and their suppliers to reduce the mountain of packaging material. They’re mostly dedicated to reducing the use of packaging and using recyclable materials. 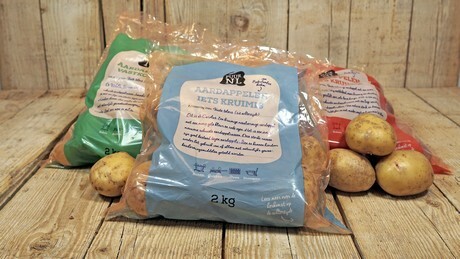 For example, Dutch supermarket chain Albert Heijn says they used four million kilograms less packaging material in 2018. In 2020, they aim to use 20 million kilograms less packaging material – that’s a reduction of 25 per cent – and all packaging will be recyclable. Jumbo is striving for a reduction of packaging for their own brand, and to become more sustainable where possible. Aldi is working on making at least 70 per cent of their packaging recyclable by 2020. Lidl has as its goal a reduction of plastic by at least 25 per cent by 2025. By that time, Lidl wants 100 per cent of its own packaging to be recyclable. The fact that this issue is more general than just consumers and supermarkets is clear from Plastic Pact NL. A large number of companies that uses and produces plastic, but also environmental and social organisations, have made agreements with the Dutch Ministry of Infrastructure and Water Management to simplify the plastic supply chain and to close it. Plastic Pact NL has as its goal a reduction in the use of plastic, using recyclable materials more and they’re striving for 100 per cent recyclability. This should result in 20 per cent less volume in plastic (in kilos) compared to the total volume of marketed products (compared to the use of this in 2017). As a result, the expectation is that at least the total volume of one-use plastic products and packaging will decrease. Another agreement is that all one-use plastic products and packaging should contain a percentage of recycled plastics as high as possible, with a minimum average of 35 per cent per company. Additionally, as many sustainably produced bio-based plastics should be used to reduce the use of primary fossil plastics. Although the use of sustainable packaging mostly seemed a prerogative for organic products in the past, a lot of producers are now looking for an alternative to plastic under pressure from retail and initiatives such as Plastic Pact NL. Various alternatives exist for the use of plastic. 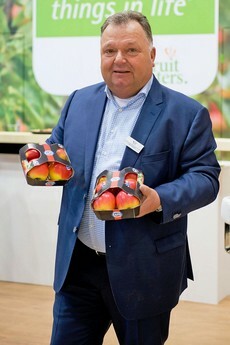 For example, FruitMasters launched a completely plastic-free concept for apples. 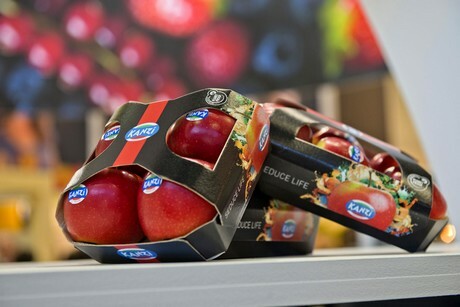 Customers can choose a cardboard punnet with lid that is completely recyclable, in addition to the well-known fruit punnet with its plastic wrap.As of the new fruit season, a new mono-concept is available for packed apples per four or six. Cardboard isn’t the only alternative to plastics. Bio-based compostable plastics are available as well. Bio4Pack has been operating on the market for compostable, sustainable packaging for more than ten years. 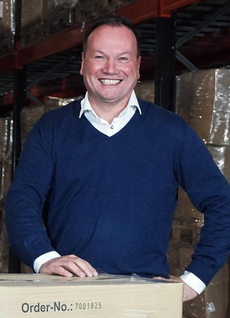 Bio4Pack CEO Patrick Gerritsen estimates that 80 to 90 per cent of current plastic packaging now used for potatoes, fruit and vegetables can be turned into bio-based packaging. That this isn’t happening on a large scale yet is because of the prices. “Some of these products are just as expensive, or even three times as expensive, as conventional packaging,” Patrick explains. It depends on the material used. Compostable bags, for example, can also be used as bin bags for organic waste once they’re no longer needed as packaging. Another example is that compostable plastics can definitely offer an added value regarding shelf life for fresh produce. The high porousness of the plastic contributes to an extension in shelf life. Because of this porousness, the moisture of washed products like potatoes and carrots leaves the packaging and doesn’t result in condensation, so that products and packaging remain dry. Focus is currently still mostly on recycling plastic rather than on using alternative materials, according to Patrick. “There’s no necessity yet to implement it on a large scale. The Plastic Pact NL is still in favour of recycling conventional packaging.” The CEO of Bio4Pack mentions that separating waste is going well, but that recycling the material leaves something to be desired. Of all the plastic waste, only 20 per cent is currently recycled. The recycled material can only be used for less high-quality products than the original, and is therefore being downcycled. Besides, the supply of recycled material is currently higher than demand. The materials for compostable plastics are gained from waste flows, waste and a very small part, 0.002 per cent of the total agricultural area, is grown.An example of this is industrial corn, which is meant for feed, and which produces a sugar used for the production of compostable plastics. This is about 35 per cent of the corn, the remaining 65 per cent is returned to the feed process. Waste left over on rice plantations at the end of the season, and which is usually burned, is also used. Additionally, there are developments with organic plastics being made from organic waste, CO2 from the air or even sewage. One aspect in the debate regarding packaging that might be neglected is that they also provide a positive contribution. Although packaging affect the environment, they’re often useful in extending shelf life, and therefore combat waste. They also prevent damages during transport. That’s good news, according to Milieu Centraal. According to this information service, the packaging only causes ten per cent of the environmental impact of food. About 15 per cent is in food waste, and the remainder is caused by the production and the transport of the actual food.